With demand for ESL teachers having never been higher, Miriam Chesner reveals opportunities open to those qualified to teach English as a second language. MORRIS PLAINS, NEW JERSEY, UNITED STATES, November 6, 2018 /EINPresswire.com/ -- Providing English language education to non-native speakers, ESL—or English as a second language—education is in higher demand today than ever before. In the U.S., an estimated 10 percent of all students currently enrolled in both public and private schools are undergoing ESL education according to reports by the U.S. Department of Education. "By this estimation," says Miriam Chesner of New Jersey, "around five million students in any given academic year are undergoing ESL studies." "The future," suggests Miriam Chesner of New Jersey, a New York University graduate who holds a Master's degree in ESL, "is bright for ESL educators and teachers, both in the United States and globally." Figures from the Center for Applied Linguistics in Washington, D.C. show that the U.S. is currently home to around 44 million non-native English speakers, many of whom have undertaken formal English as a second language studies, and the number is growing. As such, opportunities for ESL educators in the nation are plentiful and in increasingly high demand. "44 million people in the United States is roughly equivalent to 13 percent of the entire population," reveals Miriam Chesner, also pointing out that fewer than two generations ago, this number was under five percent. "As a result," the graduate explains, "ESL qualifications are among the most in-demand education specialties in the country." This, she goes on to say, does not only apply to the school system. In fact, while a significant proportion of those qualified to teach ESL will find work as teachers, ESL qualifications have many other, often highly lucrative applications, according to Miriam Chesner New Jersey. 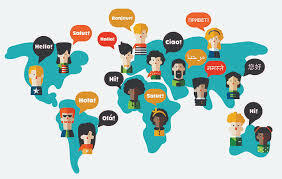 These include working alongside both domestic and multinational companies, and within international agencies or organizations, she reveals, adding that positions as researchers and advisors for publishing companies, for example, are also widely available for those qualified in ESL. Four other avenues open to ESL qualified individuals include authoring teaching materials and textbooks, and working within cultural mediation, the translation industry, or in tourism and travel, according to Miriam Chesner. Of the route to qualification, she goes on to explain that those looking to teach will generally undergo both practical and professional training. Today, many U.S. states impose several strict requirements upon those seeking to qualify as ESL educators. "Those looking to enter this area of teaching should check their state's board of education's requirements for ESL teacher certification," says Miriam Chesner. "For those looking to take a different path, alternative routes to licensure also exist," she adds, wrapping up, "along with secondary endorsement options."